Sort it out fast. That’s the message that must be taken on board by all parties to the ongoing dispute involving the Clare senior hurlers and their embattled manager, Mike McNamara. At the October 27 meeting of the Clare GAA County Board, it was confirmed that a group of players had submitted an unsigned letter to the board outlining “certain things” as to why Mike McNamara should resign his position. It wasn’t read to delegates, who didn’t question in the slightest chairman Michael O’Neill’s statement that Michael McNamara had been appointed for a two-year term and this hadn’t changed. The hurling manager did speak briefly and said he would attend the next board meeting to deliver an end-of-year review. Last week, the hurlers had a second bite at the cherry in submitting a letter to the Clare GAA County Board, this time choosing to sign it. However, in another major oversight, they merely indicated that 26 members of the panel have no confidence in the manager rather than airing their grievances or identifying any of his faults or failings. Strange indeed, given that the county board chairman confirmed he had one-to-one meetings with seven or eight players on Sunday last. Surely the conversations went far deeper than “I have no confidence in the manager” but O’Neill is honouring a pledge of confidentially. The players, by not elaborating on what was outlined in the first anonymous letter, have shot themselves in the foot again. What was expected to be a highly charged county board meeting on Tuesday night was little more than a damp squib. The letter didn’t ignite any serious debate and the issue was left hanging in mid-air. The press left under protest to facilitate a behind-closed-door contribution from Mike McNamara. To be fair, a local reporter brokered an arrangement whereby Mike did speak to the media afterwards. The latest board meeting once again highlights the huge disconnect that exists between county players, delegates and clubs. Twenty-six players, representative of quite a number of clubs, don’t want to continue playing under Mike McNamara, yet delegates failed to reflect this at the board meeting. Are the delegates reflecting the views of their clubs in not backing their players? It is hardly credible that all 26 players do not have strong support from within their own clubs. This is such an important issue that clubs should have held meetings to mandate delegates as to how they should deal with it. 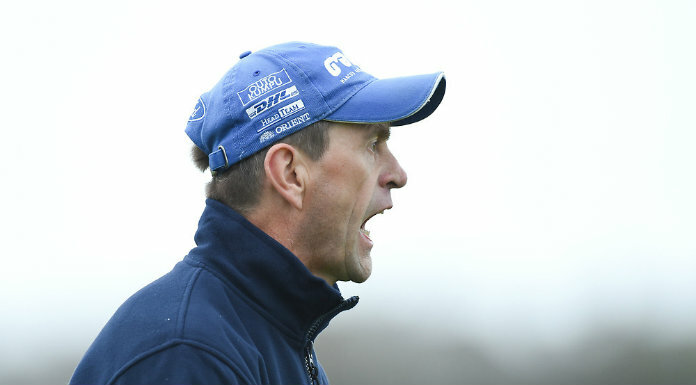 Nobody can question Mike McNamara’s commitment to Clare GAA, as evidenced by his support from the board, but we have reached a point where he must decide whether or not his continuation as hurling manager is the best thing for the team. Also, players who are anxious to see him go must do a lot of soul-searching to see if they have given it all in a season that has gone so horribly wrong. Any player who answers ‘no’ has no business throwing stones and has no future as an inter-county player. There have been conflicting stories in recent months about what the future holds for Shannon Development. On the one hand, fears have been raised that An Bord Snip could go so far as to propose the abolition of Shannon Development and the transfer of its responsibilities to other agencies as part of a grand plan to effect billions of euro in savings across Government departments and the public sector. In stark contrast, the Mid-West Task Force, in its interim report, suggested that Shannon Development should receive supplementary funding of €5 million for the next three years from the Department of Arts, Sports and Tourism to further drive tourism development and innovation in the region. Confusing and conflicting signals are nothing new when it comes to Shannon Development, the regional development agency that has weathered many a crisis over its 50- year history. Its functions have been revised and modified from one government minister to the next and each CEO has put his own stamp on the organisation in terms of structure but ultimately, its mission remains the same – to deliver growth to the Shannon Region. Shannon Development is only one of hundreds of organisations reviewed by Colm McCarthy in the preparation of the report for An Bord Snip. The McCarthy Report has provoked unprecedented anger among State and voluntary agencies and members of the public because of how essential services could be seriously curtailed if funding is cut. If Shannon Development is to escape from the clutches of An Bord Snip, it may well depend on what clout Tánaiste Mary Coughlan holds at Cabinet. It was she, as Minister for Enterprise, Trade and Employment, who established the Mid-West Task Force last February, following the announcement by Dell of the ceasing of manufacturing in Limerick. She charged the taskforce to consider and make recommendations concerning the implications of the serious economic downturn in the Mid-West. In its interim report, published in July, the task force proposed regular meetings with the IDA, Enterprise Ireland and Shannon Development to ensure that the region gets priority for what is required to solve the unemployment crisis. It recommended that the IDA set up a Mid-West response unit and report regularly to the task force, along with the Department of Arts, Sports and Tourism, delivering supplementary funding of €5 million for the next three years, to assist Shannon Development. The Tánaiste asked for recommendations and she has got them. Will she now stand by the task force and Shannon Development? Thankfully, there were good vibes from Tánaiste Coughlan when she addressed a regional development conference organised by Shannon Development in Thomond Park last week. She said she wants Shannon Development to continue operating and spoke of the valuable contribution the company has to make in relation to the task force and its future role in spearheading regional development. “Although we have an informal collaboration between Enterprise Ireland and the IDA, we have to see if there are ways that could be changed and those discussions have been ongoing. 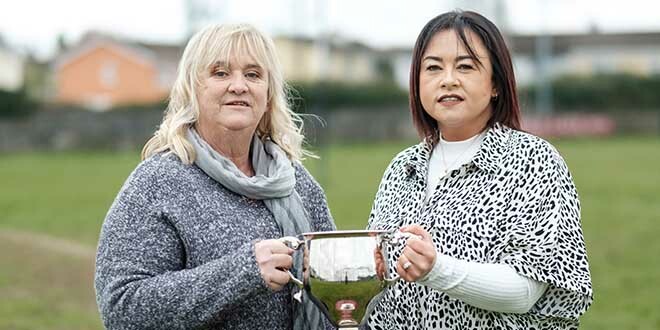 The work of Shannon Development has been superb and we may have to look at different ways of doing things but my view is it will continue to have a valuable role,” Tánaiste Coughlan said. With Shannon Development falling under the remit of her department, time will tell how protective of the company she is. Should she fail the test this will be another black mark against the Government.